This innovative eyeliner combines the ease of a pencil with the definition of a liquid for precise, no-mess results. Easy to line, creating looks from delicate to dramatic. 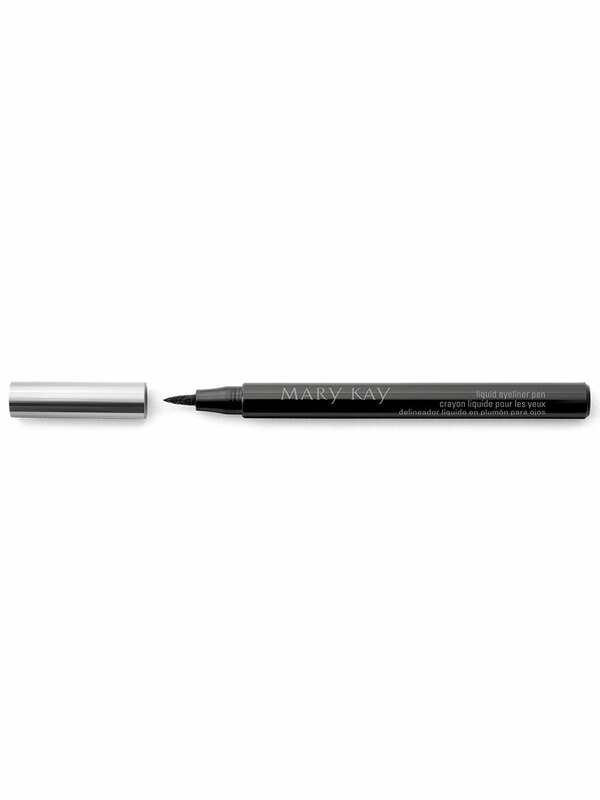 Bring out your inner makeup artist with the Mary Kay® Liquid Eyeliner Pen. It’s easy to hold and easy to line thanks to the smooth flow of colour from the no-drip, precision tip. “Draw” attention to your beautiful eyes with quick-drying, dramatic definition corner to corner. From a subtle fine line to a bold cat eye, you can go from day to night in a blink as the intense, smudgeproof colour stays put until you’re ready to take it off. Suitable for sensitive eyes. Clinically tested for skin irritancy and allergy. Fragrance-free. Ophthalmologist-tested. Suitable for contact lens wearers.